We all have our favourite outerwear pieces, the ones that add visual interest to your look. In the past, you may have reached for a form-fitting blazer, but this season it’s all about oversized ones. It takes inspiration for the menswear trend we’ve been seeing for the past few seasons, but when paired with a floral dress or even a basic tee and denim jeans, it can really elevate your look. This versatile piece comes in an array of prints, patterns and colours, making it suitable for everyone. You don’t necessarily have to reach for an oversize cut, simply by purchasing a few sizes up than your normal size will achieve this same look, without leaving you drowning in fabric. As much as we’ve enjoyed our oversize, statement sunglasses, perfect for days when you don’t want to do your makeup or go unrecognizable, this season it’s all about thin, skinny sunglasses. It’s the ultimate statement accessory and fairly inexpensive. Wearing these microscopic sunnies is a sure way to grab attention and look right on trend. Done in a classic white, this retro-chic style adds a touch of coolness, without trying too hard. With the weather finally being warm enough to show a little skin, jumpsuits and rompers are in full-swing in stores. Although not very practical when it comes to using the restroom, it always seems to be a huge trend for spring. It’s the ultimate springtime silhouette and looks amazing on all body types. It’s a staple item in your wardrobe that you’ll be reaching for day after day. It can easily be dressed up or down, depending on the day or special event. Now for my favourite fashion trend, although its not really a trend for me, as I live the pink life all the time hehe. 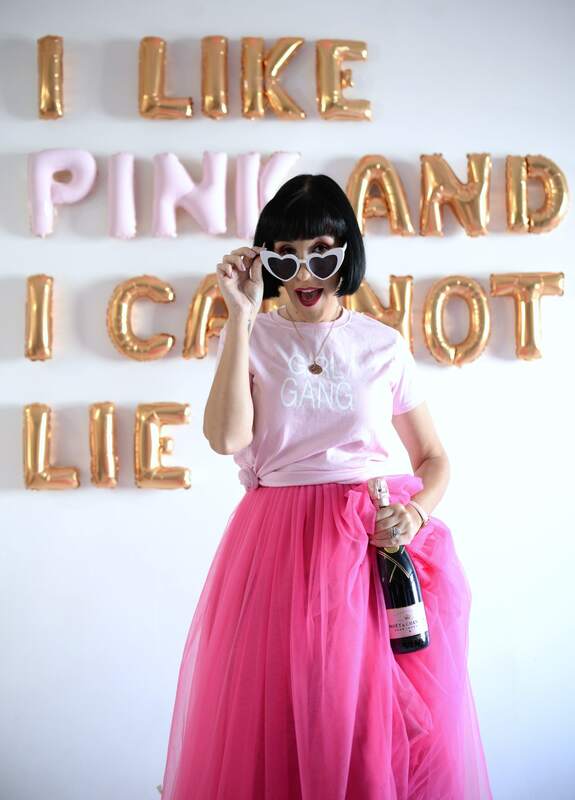 I don’t need to tell you that millennial pink is incredibly trendy. If its too bold or in-your-face to wear head-to-toe, pink footwear might be an excellent alternative for you? 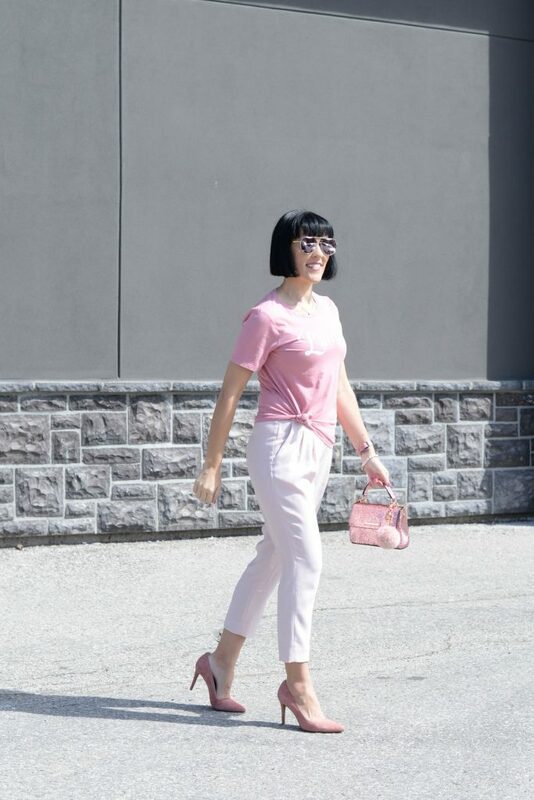 Pink is just as versatile as your go-to white pair, but it adds a fun pop of colour to any look. Styled with anything from dark denim to a crisp white tee, to your floral dresses and pantsuits, it will ensure you’re not another white-sneaker clone that everyone else will be styling. Of course, if you love the colour, don’t be afraid to go full-on monochromatic look and wear it from head to toe.